RUSL from the Loveletters crew has proven to us once again, that he hasn’t only mastered the art of handling a spraycan. 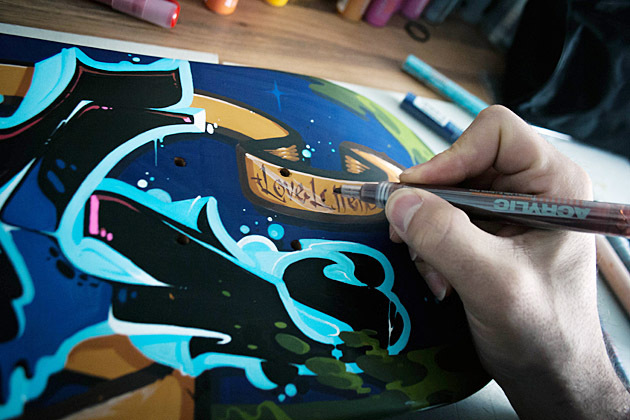 He chose the Montana ACRYLIC Markers for this project. 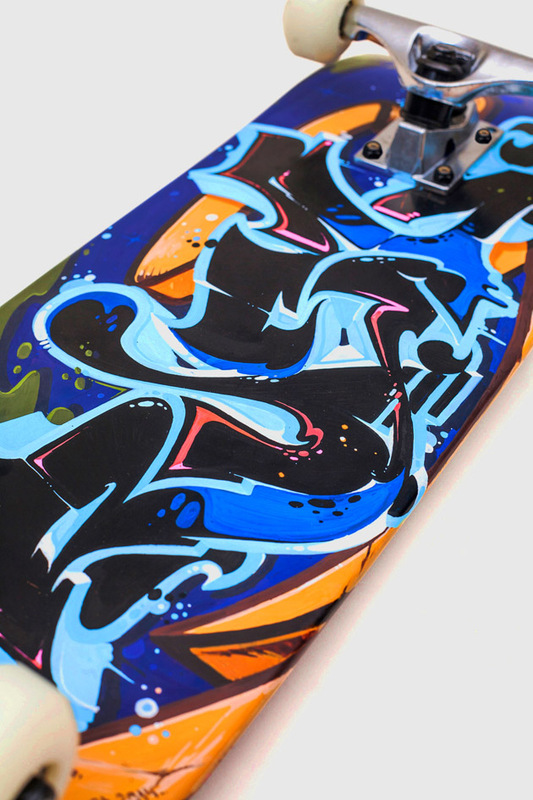 The result: A personalized skateboard that is by definition a work of art. See more pictures after the jump.